Lucy and Debbi from the University of Portsmouth’s Nursing Department. 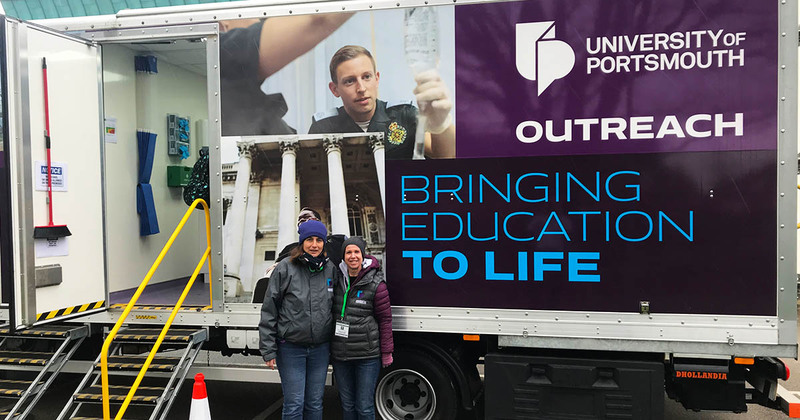 The University of Portsmouth’s Nursing Bus visited Barton Peveril Sixth Form College, giving Health and Social Care students the chance to get nursing experience in a simulation of real life scenarios. 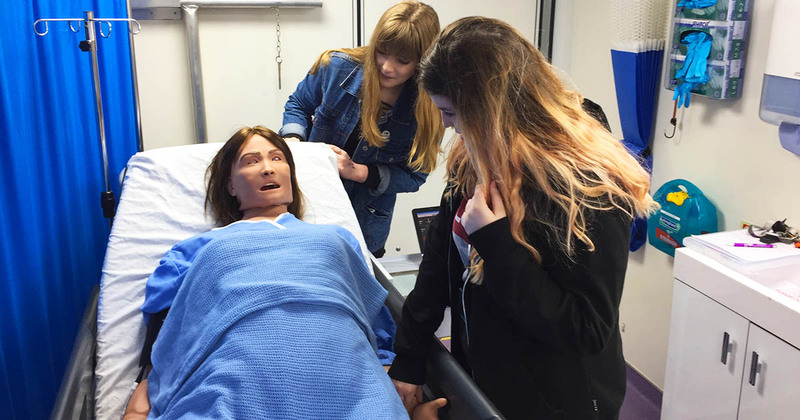 The Nursing Bus is a state-of-the-art simulation device, which features a life-like mannequin that has a pulse, can move, talk, breathe and replicate a wide range of health conditions. Barton Peveril students Katherine White and Lucy Derrick working on the bus.